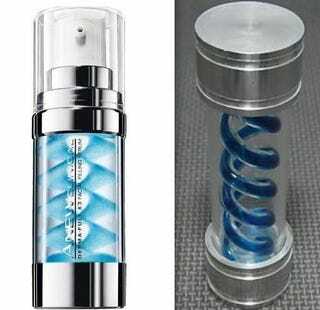 What kind of self-respecting human would ever sell something so similar to the deadly zombie creating T-Virus? Doesn't Avon have a undead consultant on retainer? Or are they secretly working for Umbrella Corporation? Totally Looks Like blew the whistle on Avon for trying to spread this zombie formula over the masses. The product that calls itself "Avon Derma-Full" promises that in three days you'll have less wrinkles....and an unquenchable thirst for human flesh. Don't believe us? Then check out the commercials one from Umbrella Crop. the other from Avon. Stay away from this product good citizens, at least until I get my shot gun and Ducati escape plan underway.